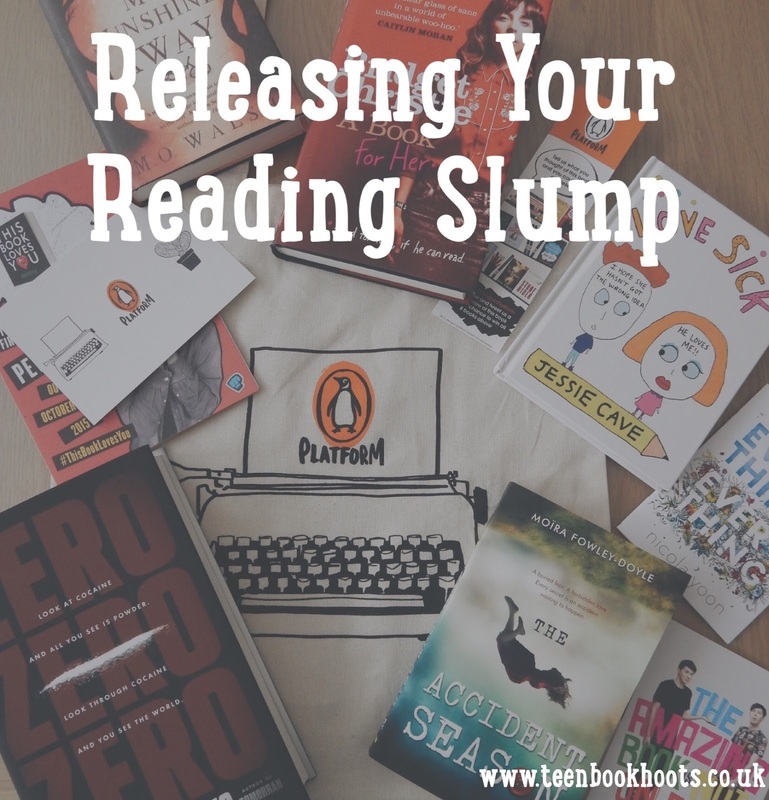 I think that every book blogger or avid reader has had a reading slump. You just cannot get into a book, and reading starts to become a chore rather than a pleasure. 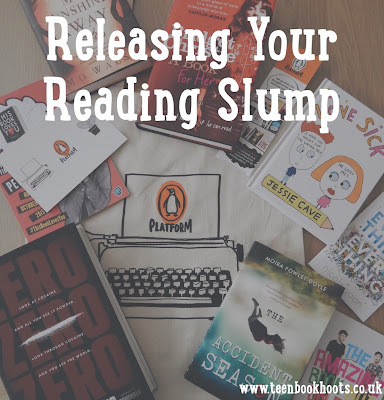 As I have recently just shaken off my reading slump, I thought I would give you some tips on how to release yours. There is nothing better than re-reading an old favourite- and it might just be the metaphorical key to unlock your way back into reading. Whether it is a Jacqueline Wilson book, or even a shorter, childhood favourite: go for it: sometimes you just need to shake it up. Once you feel ready to read again, try and set yourself a daily goal. Start slowly-find a new book that excites you, and just stick with 25 pages a day, (or less.) When you feel like it, start adding on a few pages to your goal each day. Ease yourself back into the world of reading gently. Nobody is forcing you to read- if you want to take a break, take one. If it is for a day, week or a month, it doesn't matter. Take as long as you need: and do something completely different to reading, and then come back refreshed and ready. I have found with school commitments picking up the pace more and more each day, it is hard to find time to read, and I end up with added stress of not being able to. Make sure you stop your commitments each day, and give yourself a time period each day to read and rewind- a regular reading slot will definitely make you slip back into better habits. There is no point in trying to force yourself to read anything you aren't loving. So if you don't have any good books to hand, get to the bookshop and treat yourself: you deserve it! You would be able to stop reading if you have a book that you are really wrapped up and intrigued in. What do you do to shake off your reading slump?